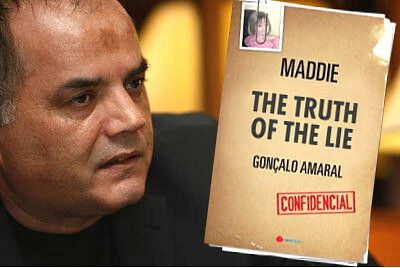 GONÇALO AMARAL - BRITISH MEDIA SMEAR CAMPAIGN: Kevin Halligen : If Halligen Conned The McCanns They Are Hardly In A Position To Talk About It...Police Believe The Fund Is Fraudulent ! Kevin Halligen : If Halligen Conned The McCanns They Are Hardly In A Position To Talk About It...Police Believe The Fund Is Fraudulent ! More than two years after the disappearance of Madeleine McCann from the Portuguese resort of Praia da Luz, it has emerged that Kevin Halligen, a British security consultant hired by the Find Madeleine fund, allegedly conned detectives working on the case out of £300,000. Halligen, whose firm, Oakley International, is based in Washington DC, was paid £500,000 by the fund to employ private investigators to look for the missing girl. But the Sunday Times has reported that he failed to pay them the money, and has now gone on the run. One detective, Henri Exton, a former national head of undercover operations for the British police, claims that Halligen personally owes him £100,000. An unnamed friend of Kate and Gerry McCann said that they had suspicions about Halligen, a 50-year-old businessman with a colourful past, from the start. "He had this sense of cloak and dagger, acting as if he were a James Bond-style spy," the friend said. "He promised the earth but it came to nothing." Another source claimed that Halligen promised to use his contacts in Washington to find satellite images of Praia da Luz and lists of telephone calls from the evening of May 3, 2007, but failed to do so. "All he came up with was a Google Earth image," the source said. The Conservative MP for the McCann’s constituency of Charnwood, Stephen Dorrell, said: "This man clearly saw a vulnerable family going through a terrible ordeal and the only thing he was focused on was that there were people offering money to help find Madeleine." Halligen had been living an expensive lifestyle after gaining the Find Madeleine contract, and documents seen by the Sunday Times show that he was flying first class, staying in luxury hotels and being driven around by a chauffeur. But since flying to Rome on holiday last October, Halligen has not returned to his Washington office. He was last seen staying with a girlfriend, under a fake identity, at the Royal Crescent Hotel in Bath. Before becoming associated with the quest to find Madeleine McCann, Halligen had reportedly pretended to be working for either GCHQ, MI5, MI6 or the CIA, in order to impress his friends. He claimed to have intelligence experience in both Northern Ireland and the Middle East. Two years ago, at a 19th century mansion in Washington, despite already being married, he staged a lavish wedding with a fake priest, in which he pretended to marry a woman called Maria Dybczak in front of an audience of dignitaries. 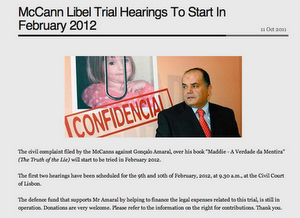 The McCann money is not the only reason why Halligen is on the run. The US Department of Justice has already issued an arrest warrant against him. They say that he defrauded Trafigura, the Dutch company involved in the controversial dumping of toxic waste in Africa.